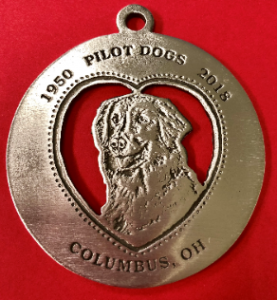 The 2018 Pilot Dogs Collectible Pewter Holiday Ornament is now available! This year’s ornament features the Golden Retriever. 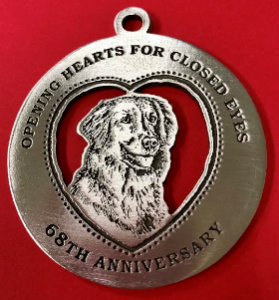 Each ornament was handmade by Woodbury Pewter in Woodbury, Connecticut. This is the fourth in a series of seven ornaments that will feature each of our breeds.